Along with an expanded soundtrack. 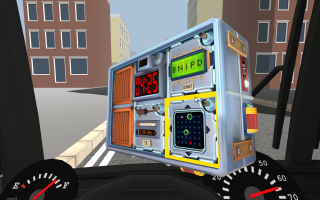 Keep Talking and Nobody Explodes now features support for the Steam Workshop, and it already has a killer-sounding mod in the form of The Bus That Couldn't Slow Down. If you recognise the Simpsons reference, you'll know that it's based on the film Speed, meaning you have to steer a bus and defuse a bomb at the same time. Crikey. But anyway, back to that Steam Workshop support. Developer Steel Crate Games announced the news over yonder, while supplying a video that rounded up some of the best mods so far.